Wet Cap. No Clogs. Always Ready. Direct to Garment. The Future is Now. Direct to garment printing, also known as DTG, is an evolving and exciting technology for rapid fulfillment of personalized garments and related promotional products. Individuals and existing commercial imaging businesses are using DTG to launch increasingly successful and profitable lines of business. Screen printers traditionally turned away short run (less than 20 pieces) or one-off print orders because the technology required costly setup time and materials, which discouraged customers from even ordering. Customers also developed a mindset of limiting their imagination to one, two or perhaps four colors. Heat transfer solutions, while somewhat effective for full color images, still required painstaking color matching and created headaches for adhesion. After years of testing and research, the founders of OmniPrint launched the Freejet Direct to Garment printer. It has the capacity to print in vibrant, full color onto light and dark garments, using industry-standard high quality CMYK and white inks. When you use the best equipment and supplies, every order can be profitable, even single shirt orders, at prices your customers find very affordable. The Freejet 330TX model is the best quality printer in its class as well as the best value. 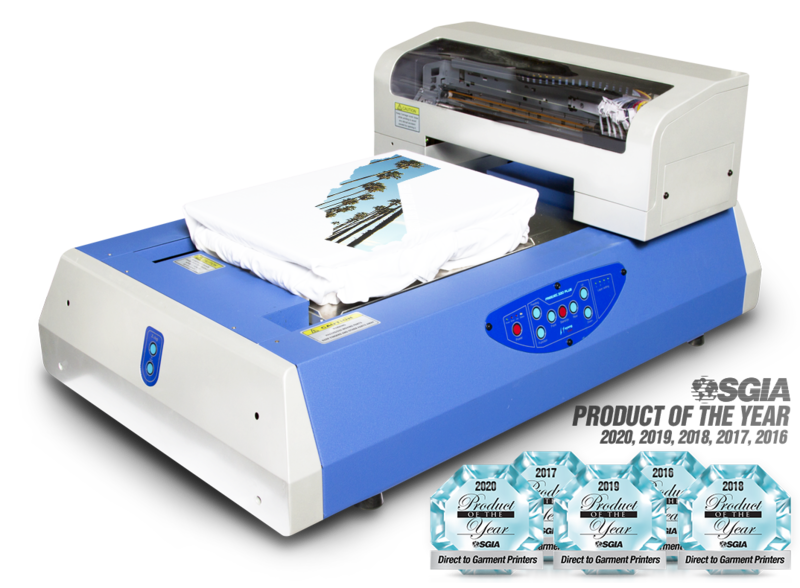 The 330TX is the ideal solution for a start-up t-shirt business, a garment decorator looking to supplement their screen printing or embroidery business, or even a commercial print business seeking to add new product lines. In a word, quality. The Freejet offers unique features and systems that make it more cost-effective and reduce or eliminate downtime that results in lost business. Other DTG printers suffer from clogged print heads, stopping during print processes, component breakdowns that require weeks or months of repair and shipping downtime, and poor color matching between source image and printed results. That’s why OmniPrint Freejet is the preferred choice of experienced DTG owners to add to or replace their existing machines. 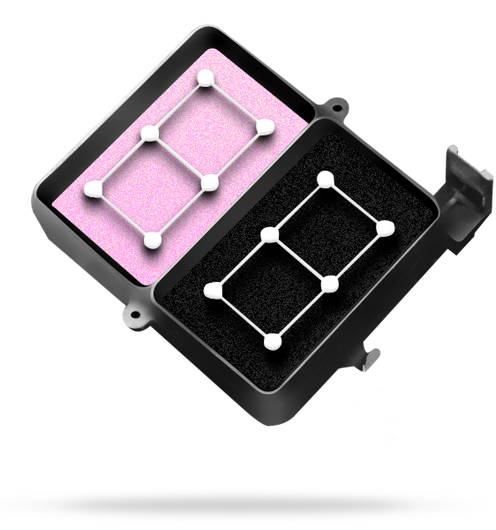 Our exclusive wet-cap/no clog system preserves the life of the print head. This system creates an AIRTIGHT enclosure for the print head, shielding it from the elements and safeguarding against ink clogs. Even when it’s not in use, the Freejet can stand for weeks at a time with no daily maintenance. When you’re ready to print, whether it’s Monday morning after a weekend or January 2 after a two-week absence, the printer is ready to go. 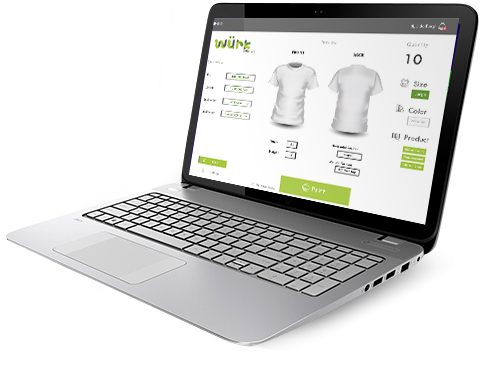 FreeJet uses our industry leading proprietary DirectRip software for seamless printing on any light or dark garments. You can even speed up your production by beginning the print cycle while the file completes the RIP process – no more waiting. Using our Direct Ink (powered by DuPont Artistri), the Freejet produces bright and vivid prints on light and dark garments with optimal wash fastness on both cotton and cotton blends. Our owners say the washability of our inks is comparable to or better than screen printing. Not only does Direct Ink produce great results, it costs as much as 66% less than competitor’s inks and works with a bulk ink system. No more fussing with cartridges that create a failure point! Weight 150 lbs. 300 lbs. 480 lbs. Best Substrate Versatility on the Market! With our Interchangeable Platen System and moving head technology you can virtually print on anything with ease. Instantly print on t-shirts, hoodies, hats, towels, mouse pads, jeans, and much more!